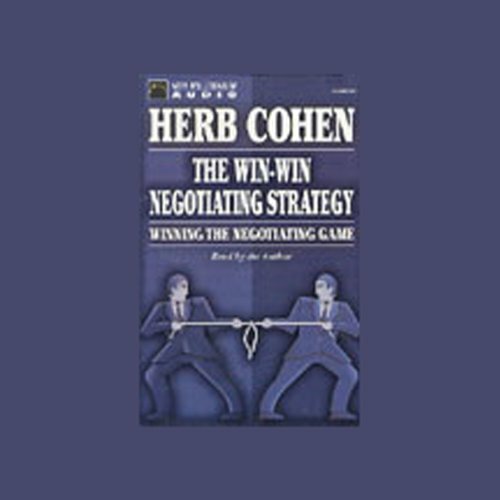 Here with wit and wisdom, Herb Cohen reveals his own conceptual canopy - a step-by-step approach for establishing and maintaining mutually satisfying long-term relationships. Emphasizing the importance of style (manner and means) over substance (terms and conditions), and by use of recognizable anecdotes and examples, you will learn how to transform an opponent into a genuine partner. Cohen covers the "nuts and bolts" of building optimal relationships: opening with commonality, saving zero-sum issues for last, obtaining reciprocity, gaining investment, and the necessary closing criteria. 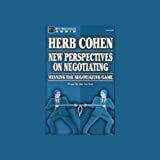 For more than three decades, Cohen has been a practicing negotiator, intimately involved with several highly publicized negotiating dramas, including the Iranian hostage crisis, the skyjacking of TWA Flight 847, and the Achille Lauro terrorist incident. He has served as adviser to two U.S. Presidents and acted as consultant to hundreds of corporations, entrepreneurs and government agencies.